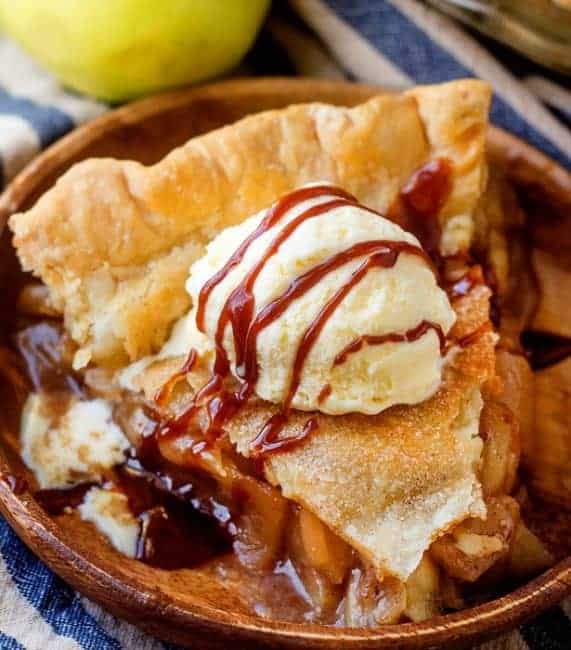 A delicious classic with a twist… check out this Boozy Caramel Apple Pie! 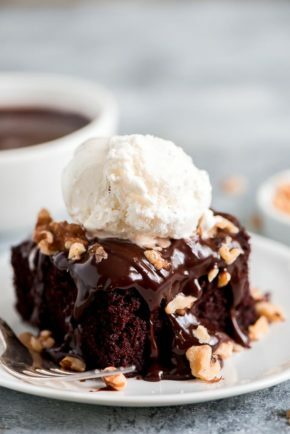 It’s ooey, gooey and downright indulgent. I just love how she added her own special twist to the caramel sauce… WINE! Her favorite red wine to be exact. 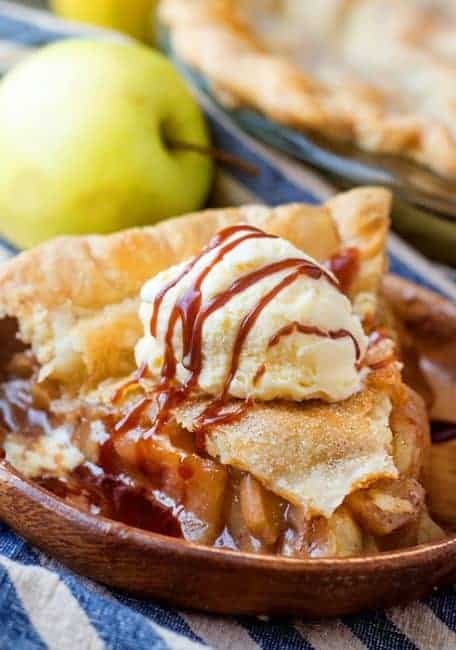 While this Caramel Apple Pie has all the traditional components, that red wine caramel sauce gives it an extra kick that you will come to crave! I love her homemade crust too. It was a tad unconventional, but seriously tasty none the less! 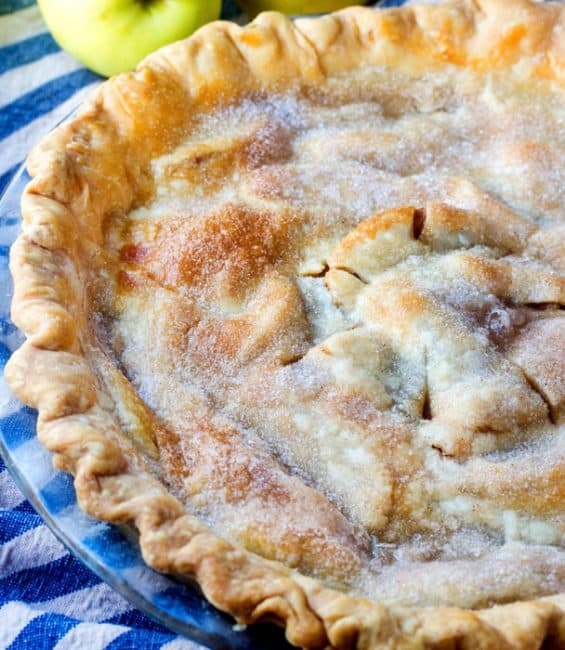 Layers and layers of apples are baked up in a homemade buttery crust. After each layer of apple is added, you drizzle the delicious caramel wine sauce over top. It makes it rich and gooey, just the way I like it! Sprinkle the top crust with a little cinnamon sugar mixture and bake it up nice and golden. 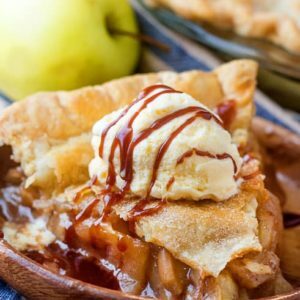 Now the best part is topping this Caramel Apple Pie off with some vanilla ice cream and drizzling some more of that caramel goodness right over the top! This pie is the perfect addition to your dessert table this holiday season! 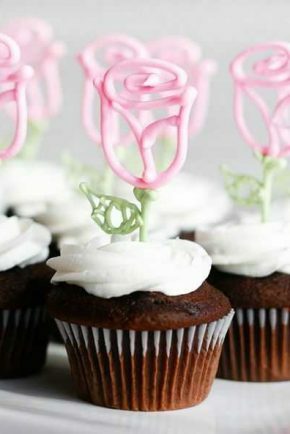 Traditional yet untraditional enough that it will get your guests talking and raving about this delicious treat! Try to get all your apple slices the same size. Using a mandolin is a great option. Add a teaspoon of salt to the caramel sauce for a fun variation. Or pair this with caramel ice cream! If you have a couple pieces left over, try making a trifle! Simple chop the pie into small pieces and then layer it in a cup with whipped cream. 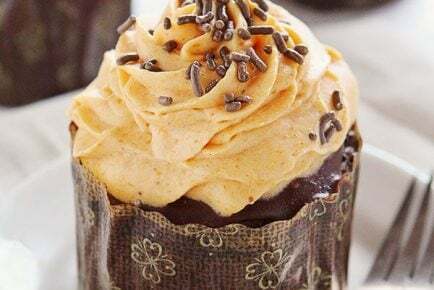 Drizzle with caramel and you have a really fun new twist! A delicious classic with a twist… It’s ooey, gooey and downright indulgent. To make the pie crust, whisk together the flour and salt together in a large bowl. Using a pastry blender add in your butter and cut in until coarse crumbs appear. Add the egg yolk and the ice water, and stir until dough is moistened. Form the dough into a ball, wrap it tightly in plastic wrap, and put in the refrigerator for 1 hour. stirring, over medium-low heat until the sugar has melted and caramelized, which takes about 10 minutes. Watch carefully so it doesn't burn. Remove the pot from the heat and add the cream and stir then add wine slowly. slowly until smooth and has thickened, remove from heat to cool slightly. (If it cools too much you can add back to low heat to get pouring consistency). 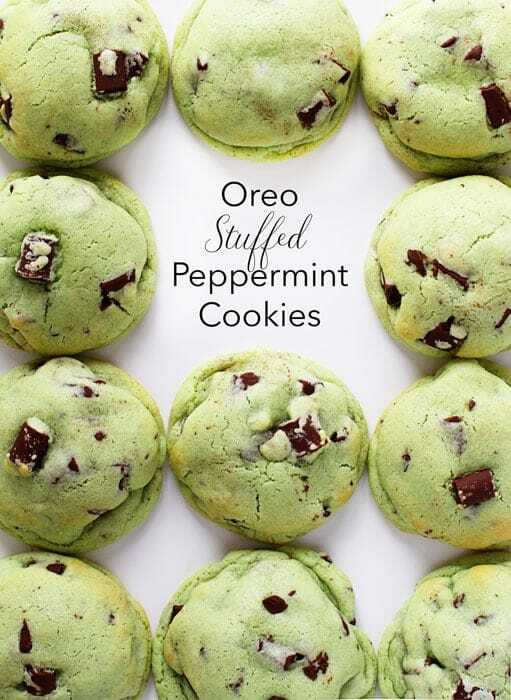 Take the dough out of the refrigerator and unwrap and split into two. Let sit for about 15 minutes to warm up slightly. On a lightly floured surface roll each of your dough sections into 12-inch circles. Carefully add one of your crusts to a deep dish pie plate. Place sliced apples in a large bowl. Add the 1 tablespoon flour and 1 tablespoon cinnamon and toss to coat all the apples. Cover the bottom of the pastry with a layer of apples, shingling the slices so there are no gaps. Pour about 1/4 cup of the caramel sauce evenly over the apple slices. Repeat the layers, until the pie is slightly overfilled and domed on the top. Top the apples with remaining butter pieces. Brush your bottom pie crust edges with reserved egg white. Place the other pie crust over the top of the filled pie pan and press down and crimp the edges. Cut slits in the top of the pie so steam can escape. Cover the pie with tin foil and bake for about 25 minutes, then remove from oven and brush with more of your egg white. Combine your remaining sugar and cinnamon and sprinkle over the top. Return to oven and continue to bake uncovered for another 25 minutes, until the pie is golden. Let rest at room temperature for at least 1 hour to set up. Serve with ice cream and drizzle with any remaining caramel sauce. Hi Amanda. 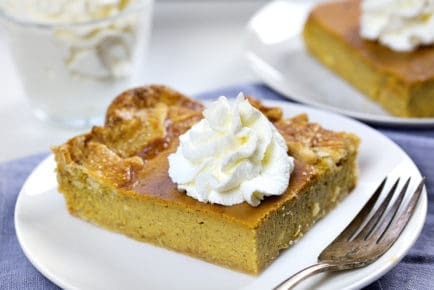 I tried thos recipe word by word but when i took out the pie after the first 25 min to cover it with sugar and cinnamon, i noticed there was quite amount of liquid.. the wine sauce melted of course and it was like water all around the pie and had to get rid of some of it. What could have happened? My stovetop burners are very inconsistent and I often over cook or undercook things because of it. What is the the single burner that you’re using in all of your videos and does it keep a more consistent temperature? 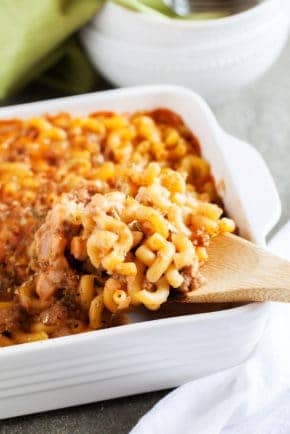 Can I just use canned pie filling?